Once in January and once in February, I drove up to Napa to shoot Heritage Culinary Antiques for Gilt Taste. Instead of shooting at the antique shop like I expected, I shot everything from the owner, Lisa's, backyard. The weather was perfect, if only a bit chilly. Throughout my work days, Lisa brought the best snacks: crackers with aged gouda and triple-cream cow's milk cheeses, dried figs from Greece (amazing), dill pickles, fresh bread, spicy-garlicky-rapini, homemade sparkling water. As I make my way into the world of freelance photography, I'll always remember this photo shoot-- this milestone. 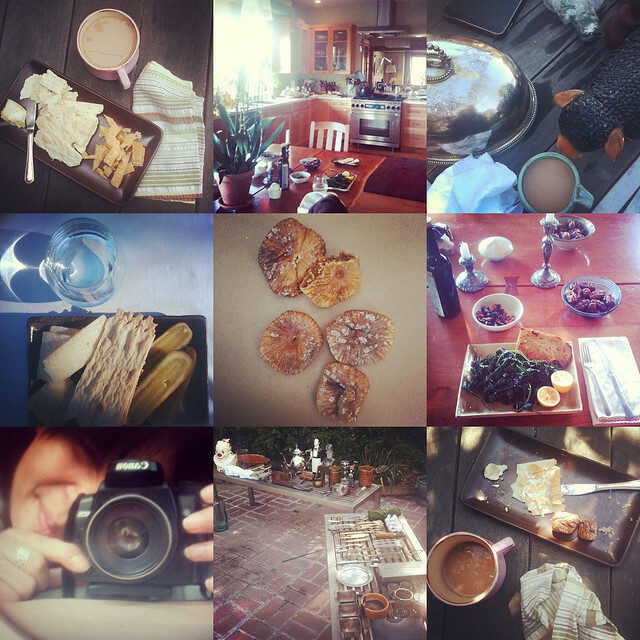 I'll always remember Lisa's kindness, her beautiful Napa home, and the best snacks a girl could dream of.